Repairs and upgrades that we have completed as well as information on new sails will be included here. We have been re rigging the boat on a do-it-yourself basis for the past several years. We started out replacing the port lower shrouds (aft and foreward) with spare rigging that we had on board. When we returned from the Caribbean in the Spring of 2011 we brought the old shrouds back with us and used those as templates for new starboard shrouds. We had the new shrouds and new lifelines made for us at Seco South. When we return to the boat this year (fall 2011) we will complete the installation of the new shrouds. We are also replacing the running rigging and inspecting and replacing deck hardware on an as needed basis. 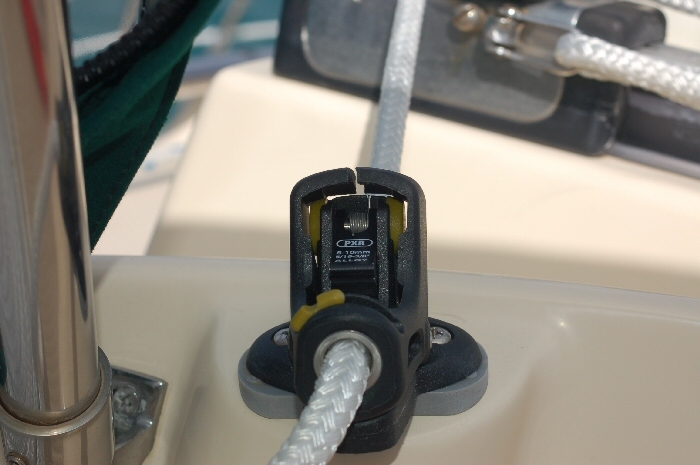 Last year after returning to the boat I installed new Spinlock PXR jam cleats on the mainsheet traveler. One of the cleats cracked but was replaced under warranty by Spinlock.